With the latest Bitcoin governance drama happening today (August 1st 2017), it's an opportunity for crypto investors to review their choices up to this point, evaluate the impact on their bottom line, and make some difficult decisions. A lot of capital left the market in late June and July to "wait out" the Bitcoin fork impacts on the market - before and after the fork date. This left the "true believers" in each crypto currency holding the bag as they watched their portfolio decline in fiat-measured value. Generally speaking, crypto investors didn't lose faith; they'd seen far worse over Bitcoin's price history, when it first touched $1,200 and faded for the next two years, to it's record highs achieved and broken in the past two months. XRP is a store of value like any other crypto currency or digital asset. It relies on the distributed approval of trusted nodes to process transactions, and can be owned by anybody. (So, yes, it covers everything that Bitcoin can do). So now we know that the XRP Ledger is faster than other crypto-currencies. But that's not the greatest part! What makes XRP unique among the crypto currencies and what has the potential to transform the world economy? It's use as a bridge asset to transform currencies into any other currency at a fraction of the cost to do that currently. Ripple is one of the shining stars of Silicon Valley and has won numerous technology awards 9 10 and been recognized as one of the top new fintech companies to challenge traditionally slow movement of capital across borders. 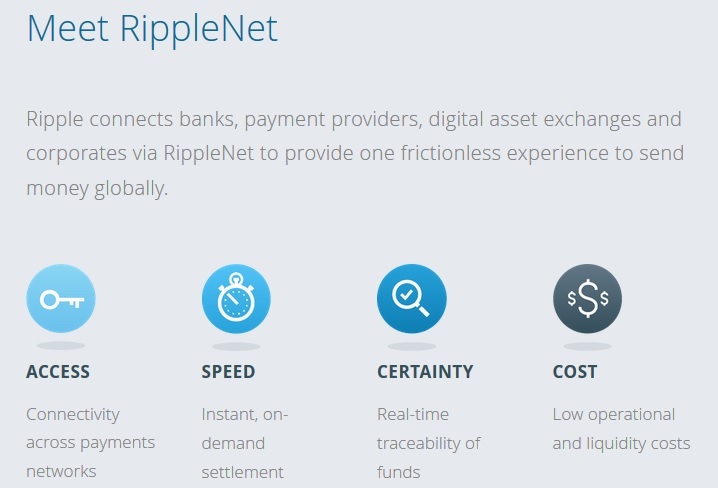 RippleNet: This is the name for the entire suite of payment solutions that Ripple offers. xCurrent: ILP-driven payments processing solution. Allows users to use XRP or any currency they choose. 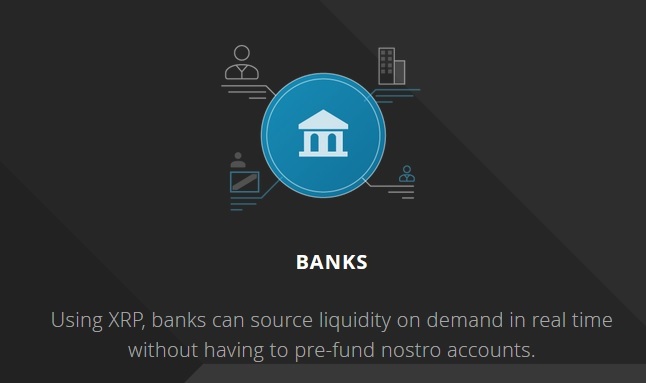 xRapid: Uses XRP to lower liquidity costs of payments. xVia: Rich Graphical User Interface that also allows distributed storage of payment meta-data and attachments. While xRapid and xVia are currently in development, this announcement provides the clear path forward that many XRP fans were clamoring for.